Bryan and his Weston Dean Custom Homes construction team build new homes all over San Antonio and the surrounding Texas communities. We’re proud to be recognized for our work in Terra Mont community in Texas Hill Country! This estate-designed community resides on the edge of the greater city, providing a unique balance between the country estate life and the conveniences of an established metropolitan area. Residents have the privilege of waking up every morning to be greeted by spectacular views of its rolling hills near La Cantera. At night, the city skyline beckons the community to “come out and play.” Between local shopping, dining options, adjacent and accessible healthcare facilities and more, what more could you want? 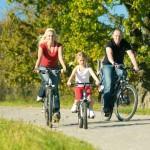 Terra Mont is in pre-development stage, which means that now is the best time for new home buyers to come and visit! All the best lots are for the snatching up, and let Weston Dean build you your dream home! Other featured amenities of the Terra Mont community includes acres of nature park and miles of walking trails weaving about the neighborhood. Each homesite boasts between 1 and 3 acres of prime estate land, and as we mentioned before, the landscape is truly one of a kind. Each new home built in the area will have complete access to the private pavilion, tennis courts, other sports fields and courts, and a swimming pool. If you intend on raising a family in the Terra Mont community, rest assured to added safety and security to do 290 acres of gated and guarded property. Students will thrive at Julie Newton Aue Elementary and Hector Garcia Middle School is well-known for its educational standard. You’ll be proud of your children graduating from Louis D. Brandeis High School in the Northside Independent School District of the San Antonio area. Homes in the Terra Mont community start at the $400,000 price range and are based on what custom features you wish to include with your brand new home. After all, your home is an investment, and Weston Dean wants you to be completely satisfied with all of your choices and throughout the home building experience. Are you interested in stopping by to take a look around? This neighborhood is located at 19702 Terra Mont Boulevard. Camp Bullis from H-10 West will lead you to Babcock Road, which guides you straight into Terra Mont Way. If you’ll be arriving via Anderson Loop 1604, Babcock Road is directly accessible, so drive along that outside of the loop to find Terra Mont Way. We at Weston Dean invite you to contact us at any time should you have any questions or would like to get started on building a new home in Terra Mont community or any other lot you have in mind. Welcome to Weston Dean Custom Homes! Welcome to our new website! We’re thrilled with our new look and invite you to take a look around. If you’re unfamiliar with our company, we’ll introduce ourselves before we go any further. 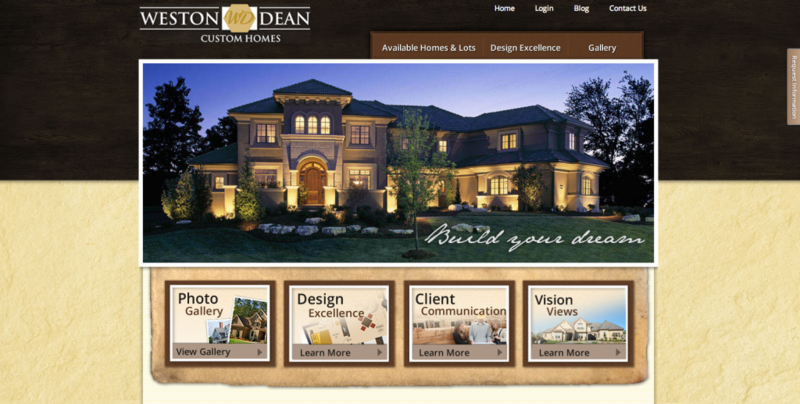 Weston Dean Custom Homes is the name for Bryan Mendenhall’s home building company. Where’d the name come from, you ask? From none other than Bryan’s two children, Weston James and Benjamin Dean. A resident of San Antonio for the majority of his life, Bryan is committed to building only the highest quality custom homes in the area at a fair and affordable price. Throughout our new site you’ll find links to photo examples of our work, currently available homes and lots around the San Antonio area, detailed vision downloads and information on various architectural styles to choose from, and much more! For starters, check out our Design Excellence page for exactly what to expect when working with Bryan and the rest of his team. Bryan outlines step by step through the entire custom home construction process. Customer satisfaction is incredibly important to Weston Dean. In fact, it’s Bryan and his team’s chief goal, and for the past ten years, the high percentage of referrals and repeat clients only serves to prove that we’ve been doing something right. One of our main methods in ensuring consistent and clear communication between builder and customer is our private and secure website. Every single customer with new custom home being built has access to their own personal webpage documenting the progress and all the details associated with that home’s construction. From personalized home feature choices, budget information, building schedule, and other important conversation points, nothing will go missing, and you don’t have to worry about “we-said-he-said” problems. The best part is that you can access this at any time, anywhere for the most recent updates on your new home. We’ve found that this thoroughly enhances communication with our customers. When building a custom home, the last thing you want is a surprise, so we seek to involve our customers as much as possible to make sure you’re getting everything you want in your dream home. You can find out more about our strategy on our Client Communication page! On the Vision Views page you’ll find 5 architectural styles in which Bryan and his team are superior builders. You’ll be able to choose from characteristic designs including Spanish Revival, European, Hill Country Contemporary, Traditional, Texas Country, or other styles specifically customized for you and your family’s needs. You can even individually select which features you’d like within each room. With pictures, PDFs, and other details, you’ll find a home style that’s perfectly suited to you! Feel free to click around and explore the site. We hope you find everything you’re looking for and tell us what you think! If you have any questions or would like more information about Weston Dean building a new custom home for you around San Antonio, we’d love to hear from you. Contact us here.